In an age where the first thing that attracts a customer or a client to your business, is your virtual presence, you cannot do without a sound digital format that puts your business’ best foot forward. Establishing an excellent web application might be easy, but as technology evolves by the hour, it becomes difficult to upgrade and update your web application to stay relevant in the ever-changing market. Web Developers, therefore, find it extremely challenging to keep up with the technological advancements. It is almost like walking on a double-edged sword. On the one hand, you constantly need to revise your application and update it to accommodate the latest technological trends, and on the other hand, a failure to do so would directly lead to a loss of customer support. This is because the Internet today has made countless businesses offering similar services accessible to the customers at a single click, and if your business fails to provide them the best solution, it wouldn’t take them long to replace you with a business that isn’t technologically challenged. It is a matter of staying on your toes, and hence, the need to be extremely alert and aware of the business and related-environment. Though, each day brings a new obstacle for a web developer, certain common challenges that are faced across the industry can be traced. Discussed below are the 5 common challenges that are faced by web developers throughout the industry. Often misunderstood as something pertaining to the performance or the bandwidth, scalability actually deals with Load Balancing. All businesses should necessarily prepare their web applications to handle high traffic on your website, is actually a sign of successful lead generation. So, when you manage to get customers to your website, you have to be able to serve all of them simultaneously. Hence, it comes down to the web developers to create a web application that can handle high traffic directed its way without crashing. Scalability ensures that as the load increases on your Website, it automatically adds additional servers to balance it. It is a simple division of labor. Instead of over-burdening a single server, and by doing so affect the speed and user experience for the customer, designing software that can work with and on multiple servers as needed, becomes a challenge for the Web Developers. Well, With Great Power comes Great Responsibility, and with great access to information, comes great threats to security. Web developers have to be cautious on each stage of the Software Development Life Cycle so that any scope for breach of security at all stages can be eradicated. Particularly, if your website is dealing with vital customer information such as payment details, confidential data or contact information. Your customers have trusted you with this information, and it is your moral and legal duty to safeguard it. Not to mention, that customers will be more loyal to businesses that prioritize the safety of their customers’ personal information, as opposed to businesses who have a history of leaking customer data. The web developers should pay heed to not just enhancing the aesthetics of the software development, but also safety standards. Some important things to consider during the development of web application are user data safety, illegal access to restricted parts of the website, database malfunctioning, denial of service attacks, etc. It is important for the web developers to create a sophisticated software with comprehensive coding so that it doesn’t lag behind in the race of the most advanced websites available on the Internet. What often happens is that, in the thrill to execute their in-depth understanding of the software, Web Developers tend to get carried away and end up overlooking the very purpose of the Websites, i.e. to provide services to the customers. The point is, customers will not appreciate your website for its intricate coding, or the exquisite software that you use. 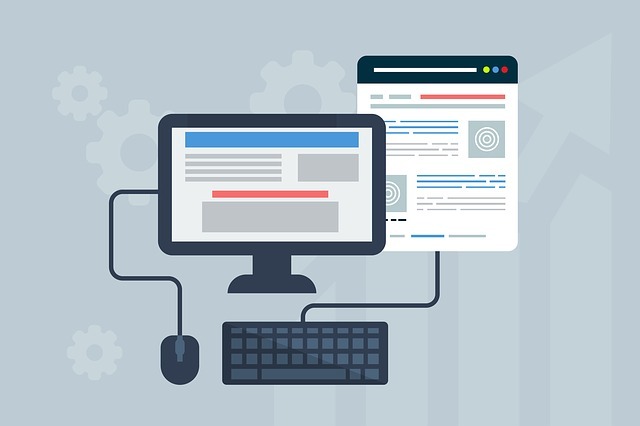 The only thing your customer will remember you for is how user-friendly (or not) your website is and how easy (or difficult) navigation is on your portal. If the customers have a hard time understanding how to use your website, or finding their way around, they are likely to switch to other service providers. It becomes extremely crucial that the web developers do not compromise on the User Interface or the user experience generated through their website. It is a daunting task to choose a framework that is ideal for the Web Application for your business. Web Developers need to have a thorough understanding of all the Frameworks and Platforms available so that they can choose which one to build their Web Application on. These frameworks provide a base for the web developers, which boosts the performance of the Application that is to be developed on it, by offering libraries of coding and extend capabilities. The general frameworks available range from a rigidly structured platform to a flexible framework. Hence, it comes down to how well the Web Developers understand the various Frameworks and their Functionalities to able to choose the one that acts as an exceptional kick starter for the software development lifecycle. The end game of the Software Development Life Cycle is sound performance, and if your application fails at this final stage, then it has all been for nothing. Therefore, it is essential that the application that is developed performs well when it is put to test. And this can only be achieved if steps have been taken to eliminate glitches at each and every level of the development of the application. Some of the most common performance related challenges that web developers face are imperfect codes, unorganized data, increased traffic, poorly distributed load, third party’s services, etc. The demand for intuitive and user-friendly interfaces in web development is increasing at a fast pace. When it comes to the development of a successful web app, there are several factors determining it. Web development can sometimes be challenging yet exciting as it requires creating an innovative final product that is essential to build a brand and timely updated with solid visuals.